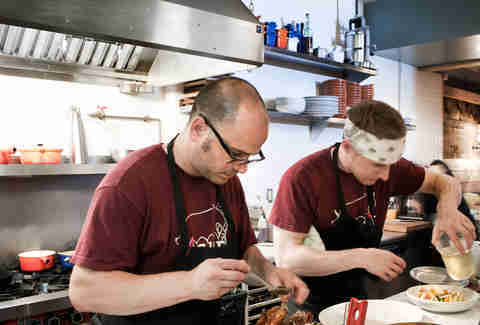 Long before Pittsburgh’s food scene was in the spotlight, long before Lawrenceville was cool, Justin Severino was butchering meats at his Lawrenceville restaurant, serving world-class meals at Cure, the unassuming spot along Butler St.
He’s now opened Morcilla, his second restaurant in Lawrenceville, a restaurant inspired by his travels through Spain with his wife and restaurant co-owner, Hilary Prescott Severino. 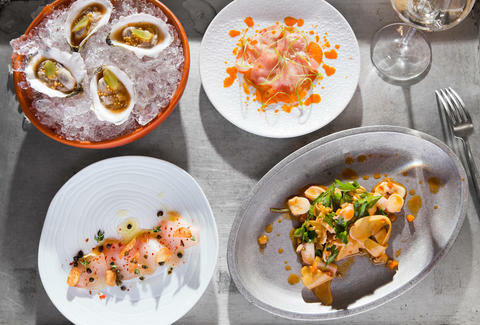 Morcilla’s menu focuses on family-style dishes, charcuterie, and traditional pintxos (the Basque version of tapas), along with an outstanding and singular wine and cider list. 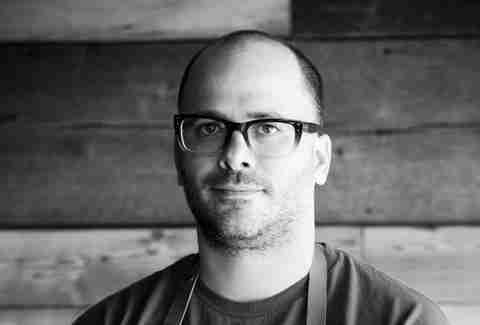 A pioneer in Pittsburgh’s emerging food scene, Severino is a 2015 and 2014 James Beard Award-nominee for Best Chef Mid-Atlantic, and 2015 and 2014 winner of Food & Wine's People’s Best New Chef for the Mid-Atlantic region. He’s a skilled whole animal butcher raised on Italian-American cooking who studied at the Pennsylvania Institute for Culinary Arts, and worked for several renowned restaurants in California before returning to PA with a dream of founding his own chef-owned restaurant. Part of what I love about cooking is the history of food and the cultures that the food comes from. What’s the inspiration for Morcilla? I’ve always been cooking Spanish food. The first real kitchen job that made me really love cooking after I decided I wanted to be a chef was at Casbah in Shadyside, a Mediterranean restaurant. When deciding what we were going to do, part of that was where we wanted to travel in the world. I made the decision that if I was going to open an ethnic-specific restaurant, I needed to go to that country and experience it. I love Spanish food more after being in Spain. Spain is an amazing country to visit. There’s so much about it I want to know. 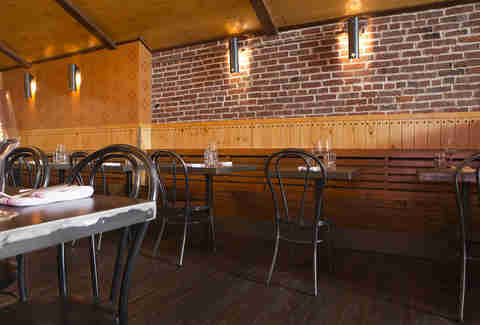 With wooden ceilings and a lot of homey details, the restaurant is a warm and welcoming space. How did traveling Spain influence the restaurant's design? I took a lot of the design of this place from San Sebastian. 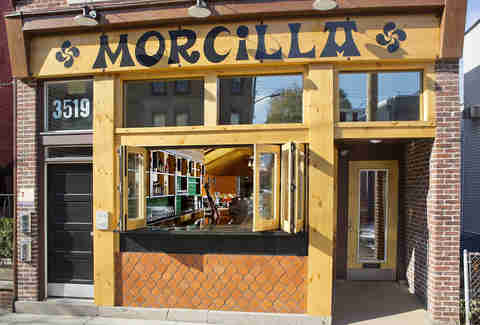 The storefront of Morcilla is a very standard front to any tapas bar there. The font that we have is the specific Basque font; every sign in San Sebastian is in that same font. The little cross part of our logo is called a lauburu, and that is the symbol of San Sebastian. There are four parts of the lauburu -- life, spirit, consciousness, and form. Pittsburgh already loves Cure. How does it differ from Morcilla? Cure's a lot of different cultures. We play with Italy, Spain, France, North Africa, Morocco. We do Israeli food. We dip into the Alps. And that’s fun. But for the first time in my life, to have to actually focus on one thing has been really awesome. Part of what I love about cooking is the history of food and the cultures that the food comes from. The similarities are our dedication to buying quality ingredients and our dedication to our staff. What are some of your favorite dishes at Morcilla? There are some really rustic simple things I love, like our artichoke dish. We’re doing a version of baby back ribs. We also have a section of the menu for croquetas, featuring jamon, chestnut, and bacalao. It’s really fun to take these rustic fried balls and put them on the plate with interesting ingredients. The thing I love about Morcilla is how much food you can eat with your hands. Hilary Prescott Severino oversees the Spanish-dominated wine program, which is unique in its variety of wines, sherries, and hard-to-find cider on tap. How did the bar program evolve? Hilary Prescott Severino: The wine program is focused. The idea is to keep it manageable. The way I buy the wine is thinking about the menu first. It’s focused right now on northern Spain, northeastern Spain. Over time, we’ll branch out. I want the list to be approachable. In Spain, it was great to be able to get a 2oz shot of something and one bite. We’re going to keep the 2oz and the 5oz wine program in place here. People can choose their own adventure. This is your second restaurant in Lawrenceville. What’s special about this neighborhood? Originally we put Cure in Lawrenceville because where Cure is, there was nothing going on. I didn't really want to have to deal with any preconceived notions about what was going on. It was in a part of town where no one expected to get great food. No one knew who I was. I wanted to be able to go into it doing exactly what I wanted to do. So that’s why we’re here. One of the things I really love about Pittsburgh in comparison to living in California is the blue-collar lifestyle. I felt like Lawrenceville was really rooted in blue collar, so I thought it would make sense. Logistically, I felt like Morcilla had to be in Lawrenceville for me to bounce in between the two places. I love Lawrenceville. I spend pretty much all of my time in Lawrenceville, even when I leave work. No one knew who I was. I wanted to be able to go into it doing exactly what I wanted to do. One of the most important things that inspired me to be a chef or run a restaurant is: It’s not turning food into art. It’s about what happens when a group of people get around a table -- that’s what inspired me to want to cook. When I was a kid, one of our family members cooked us dinner six times a week. One part of your day, sitting down with the people you love. And whether you were arguing or laughing, you were doing it over food. That’s what my family does together. Everybody that's eating at Morcilla is sharing food, and we’ve done a really great job of that at Cure, too.I’ve been so close to growing up around food. My grandfather was a butcher; my grandmother was a lunch lady in the local school system. My mom cooked pretty much every meal that we ate as kids. When you're not working, what's your favorite go-to dish to cook at home? I like a nice meatball dinner; I like really rustic simple food. What's your favorite thing about Pittsburgh? Community. The people, for sure -- people here work hard. It’s a community of people that work hard and play hard. It's definitely real. Outside of that, the opportunity that it provides for not just me, but anyone who works hard and has some passion for what they do. I feel like I'm able to make a difference or make an impact or be a part of something here that I don’t think that I’d be able to be a part of in the same way somewhere else. Rossilynne S. Culgan is a Pittsburgh native who’s dreaming about Spain. Follow her to wanderlust: @rossilynne.